Insurance Claims for Hurricane Damage to Shopping Malls | The Voss Law Firm, P.C. Texas businesses must weather hurricanes on a regular basis, and many are only able to make repairs and reopen due to their insurance coverage. As a successful shopping mall owner, you know how important it is to keep your assets protected—but you must also keep your insurance payments low enough to keep your enterprise profitable. Attorney Bill Voss explores common problems shopping center owners experience after a hurricane, as well as how to avoid surprises when making a claim. How Much Will You Receive for Hurricane Damage to Your Shopping Mall? Liability coverage and property damage coverage are typically merged into one document called a business owners policy (BOP). This policy protects against both physical and intangible forms of damage, shielding you from many different hazards and types of losses. It is vital to consider your coverage selections carefully to make sure as much of your losses as possible will be covered. Buildings and contents. 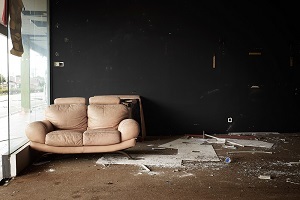 All owners should have some form of coverage for property damage to the building and its contents, including spaces that are empty, have been newly acquired, or are under construction by the owner. Owners do not need to cover the contents of individual stores that have been leased; renters should have their own insurance policies for these losses. Everything in the structure, from the roof to the foundation, should be covered, including boilers, heating systems, plumbing, electrical systems, and sewage and drainage. The amount collected from a claim can vary widely depending on whether owners have chosen ACV or RCV coverage. Electronic data. Owners may suffer losses to their security systems, cameras, alarms, recording devices, and software and databases that keep rental and financial records. A policy with a data recovery option can help owners rebuild lost record, and may even cover damage to remote servers. Business income and extra expense. Your renters likely won’t be able to reopen for some time, and may not be able to pay rent while the center is under construction. Businesses income coverage can provide much-needed payment while you rebuild, while extra expense coverage can help with costs not covered under standard policies, such as costs incurred to upgrade older structures to new building and safety codes. Business auto insurance. Business auto has two forms of coverage: liability when employees are involved in a crash, and property damage from an adverse event. If you have one or more business vehicles, this coverage can repair or replace shattered windshields from downed trees, flooded interiors, and other weather-related losses. Cleanup costs. Unlike other storms, the damage caused by hurricanes is often extensive, continuing for several miles inland. A strong policy should cover the costs of cleanup that may be necessary before repairs can begin, such as the cost of debris removal, fans and drains to remove standing water, and measures to remove rotted wood and prevent the spread of mold. Umbrella coverage. Umbrella insurance provides extra protection against large-scale events. If your business owner’s policy has reached its maximum payment levels, this form of insurance provides additional coverage. Flood coverage. Much of the damage from a hurricane is caused by flooding, which is usually not covered under commercial policies. Owners will have to secure flood coverage separately through the National Flood Insurance Program (NFIP). Unfortunately, property damage from a large-scale event often makes it more difficult for people to collect payment. Insurers may receive hundreds of thousands of claims all at once, and may delay or underpay as many as possible in order to maximize their profits. If you are struggling to collect fair payment from an insurer after a hurricane, we can help. Simply fill out the form on this page today to contact the Voss Law Firm or order a free copy of our book, Commercial Property Owners Must Read This BEFORE Filing an Insurance Claim. Will Your Business Recover From a Disaster?